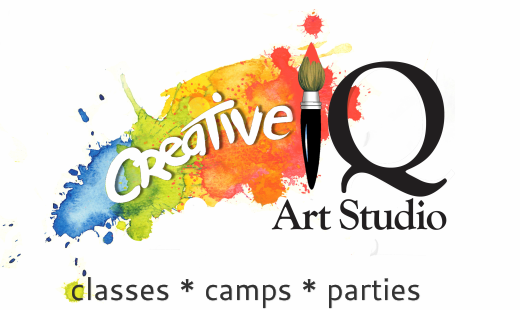 Owner of Creative IQ Art Studio and Gallery, Suzie Ferras, was born and raised in San Francisco's Richmond District and is very excited to serve the neighborhood and community in which she grew up! As a young artist, Suzie was engulfed by San Francisco's unique creative energy and culture. She has been a creative artist since early childhood and has always had a passion for art and education. She focused in the fine arts, sciences and interdisciplinary education throughout high school, college and adulthood, earning her B.A. equivalent from SFSU's innovative interdisciplinary education department, NEXA. With a background in drawing, illustration, painting and sculpture, Suzie Ferras has been working professionally in the arts for over 19 years as a fine artist, illustrator, creative director, fine arts educator, art education program developer, curator and creative arts community organizer. She is the Head Illustrator and Assistant Creative Director for the San Francisco based production company, Studio Bee, and her illustration work has been featured in educational broadcast shorts on Sesame Street. She has done a variety of commission work for local individuals, companies and organizations, including her high school alma mater, Sacred Heart Cathedral College Prep. in San Francisco. Suzie worked with Burlingame's fine art studio, Art Attack for nearly 15 years as a lead instructor, art director and program developer for their summer art camp and after school art programs. She has had the pleasure of watching her young students grow up, go off to college, and then come back to continue classes, as many of her students stay in her classes for years, some starting as young as 5 years old. She has also created programs for and worked as a fine arts educator with the Community College District of San Mateo County, Oakland School for the Arts (OSA) and the San Francisco Unified School District (SFUSD). 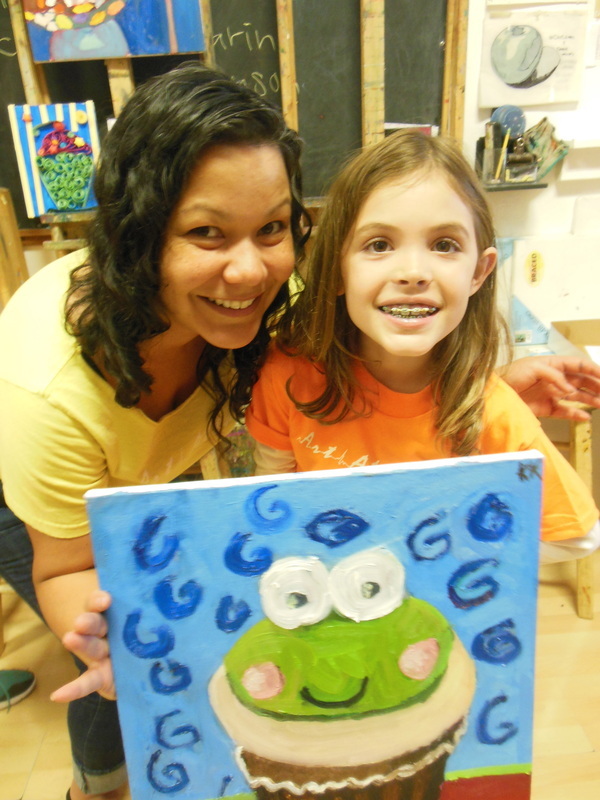 Suzie is passionate about the fine arts and education, volunteering her time and sharing her craft with the community. She designed and directed the installation of a children's maze as part of an Oakland community development project with California Assemblywoman, Wilma Chan. She created and taught an inter-arts program for Oakland School for the Arts, combining visual art, music & spoken word. She has worked in SFUSD as a mural arts teacher and as an interdisciplinary art teacher, developing programs to bring art into science classes and after school programs for students that would otherwise get no art in school. She continues to volunteer in her local community as the President of the Balboa Village Merchants Association, as a delegate with the San Francisco Council of Merchants Associations (SFCDMA) and as a board member of her local Macanese cultural club, the Lusitano Club of California. 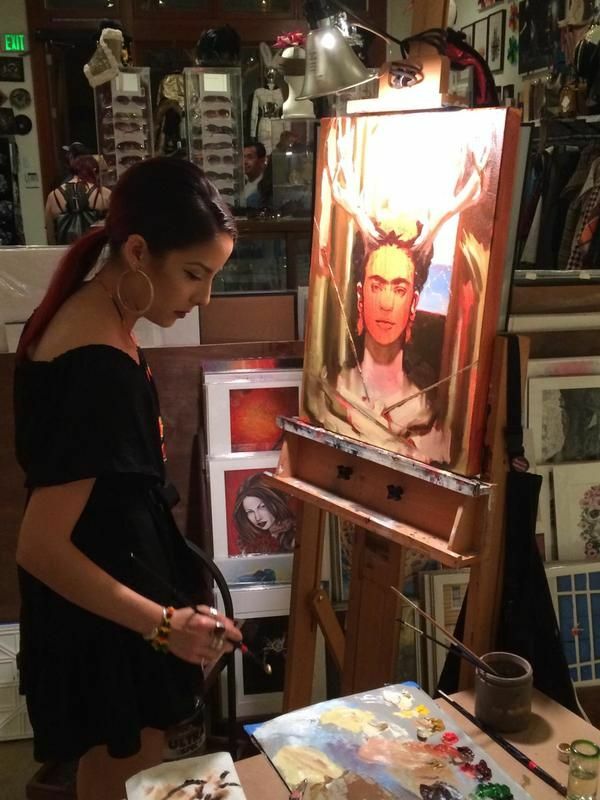 Suzie was also one of many championing the live art movement in the San Francisco Bay Area, doing live art to live music regularly in and around San Francisco, collaborating with some of the Bay Areas finest local musicians. In 2008, she founded the art and music collective, Local 365, to facilitate collaboration and cohesion within local creative culture, while making the fine arts more accessible and tangible to local audiences. Creative IQ continues to showcase and support local artists in our gallery and gift shop. Suzie Ferras has shown art and/or done live art locally and nationally with: The de Young Museum, The New York Stock Exchange, Palace of Fine Arts, Sesame Street (as seen on PBS), SFJAZZ, Galería de la Raza, 111 Minna Gallery, Warehouse 416, Rock Paper Scissors Collective, Nielson Arts, The Exploratorium, The Red Poppy Art House, Yoshi's SF, The Jazz Heritage Center, The Jazz School, Fat Cat NYC, Green Party SF Campaign Headquarters 2008, Haight Street Fair, Jazz at Pearl's, Club Deluxe, Space Gallery, Anna's Jazz Island, Madrone Art Bar, Balazo 18 Gallery, Cafe Revolution, Art SF, The Condor, The Royale, The Grant and Green, Bruno's, Cafe Du Nord, 1015 Folsom, Club 6, Socha, Makeout Room, Art Attack Art Studio, Pacifica Fog Fest, Patrick Evans Salon, Precita Eyes, Omino Day, Rock Paper Scissors Collective, Oakland Art Murmur First Friday Art Walk and MAPP (Mission Art & Performance Project). Suzie has had the pleasure to have worked with many fabulous local and international musicians, including: Mickey Hart, Marcus Shelby, Mochipet and Daly City Records, Airto Moreira, Faye Carole, Lavay Smith and her Red Hot Skillet Lickers, Dayna Stevens, The Jazz Mafia, Adam Theis, Jaz Sawyer and Pursuance Records, Realistic Orchestra, The Shotgun Wedding Quintet, Brass Mafia, Josh Lippi and The Park, The Whooligan, Evan Francis & Spaceheater, 8 Legged Monster, Horace-Scope, Marcus Stephens, Mitch Marcus, Mike Boo, Classical Revolution, Teeko and 4OneFunk, 40 Love, Aima the Dreamer, Cikee, Lady Fingaz, Mophono, E-Da-Boss, MarkStep Trio, Mike Olmos, Kasey Knudsen, Eric Garland, The Genie, MC Seneca, Mugpush, Surreal, Ren and The Archeologist, Cecil Carthen & Candi Martinez with Skin International, and many, many others. Teacher Pam Marano is a graduate of the Academy of Art University where she studied Painting and Art Education. She has experience working with kids of all ages and kids with special needs. She helped paint murals for PG&E and Saint Bridgette's School in San Francisco as part of her work with the Academy of Art. She also designed and painted a mural at the Pritikin Museum in Noe Valley. Pam shows her work professionally in galleries and showcases in San Francisco. ​Safi Kolozsvari is a graduate of the Academy of Art University where she studied Painting. She was born in Orange County, California in 1990. Her family immigrated to the United States from El Salvador and Hungary. Because of her father’s jobs the family was constantly moving. This regular uprooting early in life has influenced her artwork and the way she creates her artwork. The artist is never static and always evolving. Her work is aggressive and experimental. She uses her angst and discontentment to create visually and conceptually dynamic pieces with controversial underlying themes. Satire is often used in her work to devise thought-provoking pieces that cynically touch on current social, cultural and political issues. Her voice is her painting. Safi shows her art regularly through out California. She resides and works in the San Francisco Bay Area.